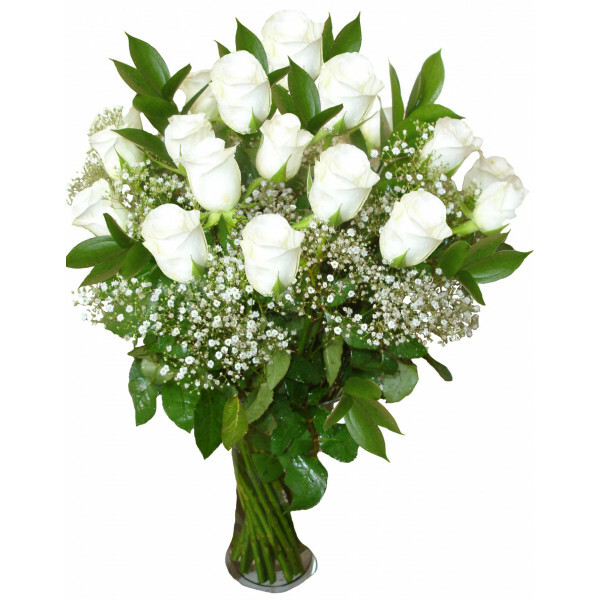 Long stem white roses in a vase and gypsophila. 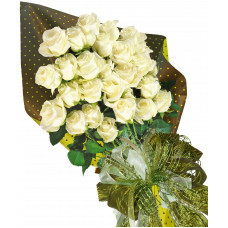 Stylish and elegant bouquet of 19 roses. 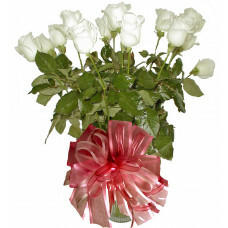 White roses are the ultimate symbol of purity and innocence. It gives a wonderful feeling of peace and tranquility. Sincerity and chastity are some of the obvious meanings of a white flowers.